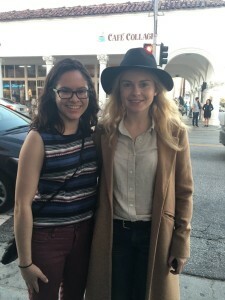 Vanessa met Rose McIver at Venice Beach (LA), on March 17, 2016. 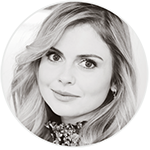 Okay so, I first saw her from afar I was like wait I think that’s Rose McIver (she was wearing a hat and glasses and it made it hard to tell if it was her). But then I remember liking a pic she posted earlier and her outfit looked exactly like what she was wearing in the picture*. By the time I 100% realized it was her, she started walking. I wasn’t going to leave an opportunity like this so I kinda followed her hoping she would stop like at a some sort of stand. But she didn’t, until she stopped at a stop light and so I was like “Hi Rose” and she turned around and was like “Hey“. And I was so nervous I was like “You come out on ‘iZombie’ and you play…“ (I was stuttering) so she helped me finish the sentence and was like “Yeh Liv“. I was like “Yes and you also played ‘Tinker Bell’ on ‘OUAT‘” and she was like “Yes“. Then she asked for my name and I responded “Vanessa” (i thought it was really sweet of her to ask for my name) and then I started rambling saying I wasn’t sure if it was her or not and that I saw her Instagram pic lmao I was just rambling. Then I asked for a picture and she said yes and we took the pic. I thanked her and was like “Sorry to be a bother” and she was like “No No it’s okay” and so then I left. She was so sweet and beautiful. And this was yesterday, March 17th at Venice beach in LA. 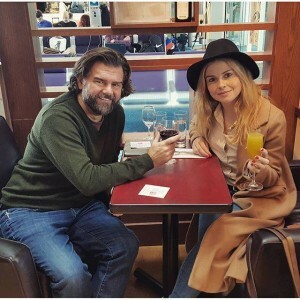 Big thanks to Vanessa for sharing her story!